What does it mean to flourish? As a person, I mean. We can probably agree that a plant which is healthy and blooming can be said to “flourish,” and that a business that is booming and raking in record profit is “flourishing.” But what does it mean for a human being to flourish? Some might think of financial success as “flourishing.” Others might think of self-development and growth. You might believe that a person is flourishing when she is happy and content, or when she is learning new things and applying her skills to new challenges. As it turns out, all of these definitions are right! Or at least, partly right. Flourishing is a multi-dimensional construct, meaning it’s made up of several important parts, and maximum flourishing can only happen when a person experiences a healthy level of each dimension or component. Read on to find out which components make up flourishing, how flourishing is conceptualized and measured in positive psychology, and what you can do to flourish. Contributing Factors: How Can a Human Flourish? Flourishing is one of the most important and promising topics studied in positive psychology. Not only does it relate to many other positive concepts, it holds the key to improving the quality of life for people around the world. Discovering the pieces to the flourishing puzzle and learning how to effectively apply research findings to real life has tremendous implications for the way we live, love, and relate to one another. Flourishing moves beyond the confines of simple happiness or well-being; it encompasses a wide range of positive psychological constructs and offers a more holistic perspective on what it means to feel well and happy. According to the “founding father” of flourishing, Dr. Martin Seligman, flourishing is the result of paying careful attention to building and maintaining the five aspects of the PERMA model. Using this model as our framework, we can understand flourishing as the state that we create when we tend to each aspect of the PERMA model: increasing our positive emotions, engaging with the world and our work (or hobbies), develop deep and meaningful relationships, find meaning and purpose in our lives, and achieve our goals through cultivating and applying our strengths and talents. 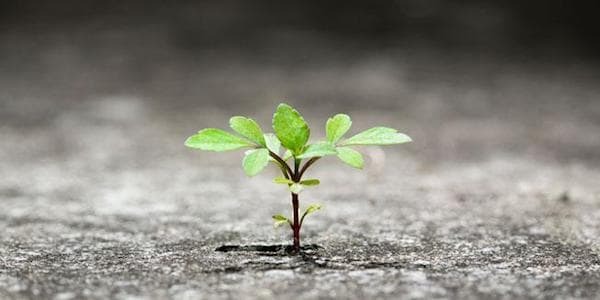 To flourish is to find fulfillment in our lives, accomplishing meaningful and worthwhile tasks, and connecting with others at a deeper level—in essence, living the “good life” (Seligman, 2011). Soots is careful to note that flourishing is not a trait or a characteristic; it’s not something that you “either have or don’t have.” She states that flourishing is not a static, immutable piece of who you are, it is a process that requires action. Anyone can flourish, but it will likely require some effort to get there. The idea of flourishing as a separate—but intimately related—concept from happiness and well-being began long ago, but was formally proposed by Dr. Seligman in the early years of positive psychology. Seligman initially believed that happiness was composed of three factors: positive emotions, engagement, and meaning. However, after looking closer at the research on happiness, he discovered that some important factors were missing from the overarching sense of the “good life” that he was trying to define. After doing some digging, he identified the two components that were missing: accomplishments (or the need for achievement) and relationships. Integral to flourishing/living the good life. Since Seligman proposed his PERMA model and theory of flourishing, the term quickly took positive psychology by storm. In the relatively short time period between Seligman’s proposal and today, hundreds of researchers have explored flourishing from a broad range of perspectives. Although research on flourishing has been prolific it hasn’t been easy; due to the nature of the construct, research on flourishing is often more difficult than research on most other topics in psychology. This difficulty is a result of the multiple definitions and proposed components of flourishing. The idea of measuring flourishing becomes more unwieldy with each addition to the list—and we’re not done yet! In addition to well-being, happiness, and life satisfaction, it has also been proposed that constructs like virtue and health be considered components of flourishing. In addition, financial stability and religious or spiritual health may also come into play (VanderWeele, 2017). Early research on flourishing confirmed that, at the very least, positive emotions play an important role in flourishing (Fredrickson & Losada, 2005). Although it was later determined that the mathematical modeling used in Fredrickson and Losada’s study had significant weaknesses, the general findings still hold true: that those who are flourishing report more positive emotions than those who are not. Although there is still much debate about the dimensions or aspects of flourishing, there is one thing that most scholars have agreed on when it comes to flourishing: it is not simply the opposite or absence of depression or mental illness. This might seem obvious to you as someone interested in positive psychology, but it’s easy to forget how revolutionary an idea this was at the time it was posed. The idea that mental illness and maximal well-being (i.e., flourishing) were two bipolar ends of the mental health spectrum was a popular one for a long time. It’s easy to see why flourishing is such a growing topic of research! And speaking of growth in this area: as research on flourishing continues, it’s important to keep an open mind and embrace changes to pet theories as evidence comes along to support such changes. Young fields such as these are prone to abrupt shifts and refocusing, but we can’t let that distract us from how vital it is to learn what makes us flourish and how to apply it. After all, we live in a world where only about 40% of adults are flourishing (Keyes, 2016)! At this point, you might be asking yourself, “How do you even measure such a construct?” If so, you have predicted exactly where this piece was headed! Read on to learn about how the concept of flourishing is measured. As with any popular topic, there are many ways to measure flourishing! Since we can’t cover them all here, we provide a brief overview of the three most popular or promising scales of flourishing. o Overall, how satisfied are you with your life as a whole these days? o In general, how happy or unhappy do you usually feel? o In general, how would you rate your physical health? o How would you rate your overall mental health? o Overall, to what extent do you feel the things you do in your life are worthwhile? o I understand my purpose in life. o I always act to promote good in all circumstances, even in difficult and challenging situations. o I am always able to give up some happiness now for greater happiness later. o I am content with my friendships and relationships. o My relationships are as satisfying as I would want them to be. o How often do you worry about being able to meet normal monthly living expenses? o How often do you worry about safety, food, or housing? To calculate a score of flourishing, you simply need to sum up the responses from the first five domains. To calculate a score of what the author terms “Secure Flourishing” you can simply add the responses from the sixth domain. It provides a total score between 0 (no flourishing whatsoever) to 100 for the five-domain version or 120 for the six-domain version (maximum flourishing; VanderWeele, 2017). This measure can be a great way to get an idea of someone’s level of flourishing, especially if you are concerned about financial and material stability as well as the other, more traditionally “flourishing” aspects. Another useful scale for measuring flourishing comes from researchers Butler and Kern (2016). They developed the PERMA-Profiler, a brief multidimensional measure of flourishing based on Seligman’s five pillars. The PERMA-Profiler poses 23 questions on a scale from 0 to 10, measuring the five PERMA pillars (positive emotion, engagement, relationships, meaning, and accomplishment) via three questions each, as well as one question on overall well-being, three questions on negative emotions (sadness, anger, and anxiety), one question on loneliness, and three questions on self-perceived physical health. This measure results in 7 domain scores (one for each of the five pillars, negative emotion, and health), an overall happiness/well-being score, and a loneliness score. A composite well-being score can be calculated by averaging all 15 PERMA items and the overall well-being item (Butler & Kern, 2016). Finally, another handy scale for measuring flourishing comes from well-being expert Ed Diener and colleagues (2010). This measure is a brief, 8-item “summary measure” of the respondent’s psychological well-being, also sometimes referred to as flourishing. It is not based strictly on Dr. Seligman’s five pillars, but it has a lot of overlap and offers a good alternative to Seligman’s conceptualization. The responses are scored by adding up each value for a total score from 8 (lowest possible flourishing) to 56 (highest possible flourishing). Each of these measures can provide a valid and reliable measure of flourishing; which one is “best” depends on your goals and your particular understanding of flourishing. If you’re a fan of Seligman’s five pillars, Butler and Kern’s (2016) measure may be best. If you want a measure that focuses more on the well-being aspect of flourishing, the Flourishing Scale may be the right choice. If you’re looking for a more comprehensive measure that takes variables that are often ignored into account, VanderWeele’s (2017) measure may suit your purposes. Although there is no exact recipe for creating flourishing, research has discovered several factors that contribute to flourishing. A few of the factors are inherent characteristics that we cannot change—but don’t be disheartened, since many are at least somewhat within our control! These findings indicate that a person who is highly conscientious, friendly and outgoing, and confident in him- or herself is most likely to flourish. If you have taken a Big Five test before and discovered that you are not particularly high in conscientiousness or extraversion and not particularly low in neuroticism, don’t worry! While these personality traits are generally stable across time, they are not completely static—there are some occurrences of significant changes in personality, usually spurred by a high-impact, life-changing event. Sometimes hitting “rock bottom” or running into serious obstacles between us and our goals can provoke a shift in our values, our beliefs, and even our personality. However, even if your personality remains fairly stable on these traits, there is still hope! The other factors identified are much more within your control. Work to expand and enhance your social support system. Make new friends and deepen your existing relationships with friends, family, and romantic partners. Commit to experiencing the good in life. Plan fun, exciting, meaningful, and fulfilling events in your life. Set goals for reaching milestones in life that are important to you, and savor the experience when you achieve those milestones. Focus on having more fun! Schedule opportunities to simply enjoy life’s pleasures once in a while. Plan a vacation, go out for a nice dinner, or book a fun activity you’ve always wanted to try. Do whatever it takes to smile more, laugh more, and enjoy yourself more (bonus points if you combine this with improving your relationships by bringing others along!). Enhance your sense of purpose and meaning in life. Decide what you value most and commit to keeping these values in focus as you work, learn, love, and live. Do things that are fulfilling, at work (if you can) and in your free time. Make sure you are living a life that is authentic to your values. None of these steps are easy, but the end result is worth it. When we enjoy deep and satisfying relationships, fill our days with positive experiences, have fun, and find fulfillment in our activities, it’s easy to flourish. To learn how to apply some of these factors to improve your own flourishing, it’s a good idea to start with this PDF from Martin Seligman (please note that clicking this link will start a download of the PDF). It contains his lecture Flourish: Positive Psychology and Positive Interventions, given at the Tanner Lectures on Human Values at the University of Michigan. It provides a good overview of positive psychology, how it came to be, and how you can use the findings from this area of research to improve your own health, happiness, and well-being. 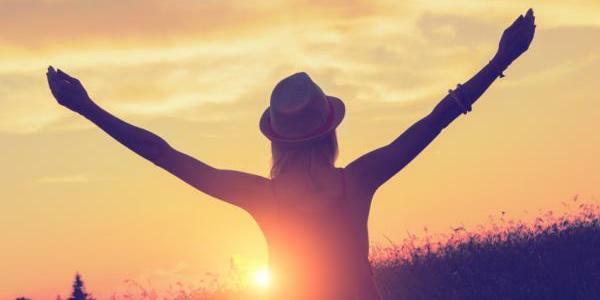 Seligman describes a few studies on what takes people from “okay” to flourishing, and shares three of the positive interventions that have shown the most promise in boosting your sense of flourishing. In addition to the actions outlined in this lecture, there are five other general qualities that set apart those who just get along from those who flourish. Consider these qualities carefully and think about how you tend to behave; do you embody these qualities, or could you do more to emulate them? The ability to direct and re-direct your attention. Just as we must carefully manage our time and our financial resources, we should also carefully manage our attention. Attention that is focused towards worrying, fretting, anger, revenge, and sadness is generally wasted attention; instead, focus your attention on analysis, imagination, investigation, compassion, and growth. The tendency to shape your time with intention and for impact. We all have to deal with constraints and barriers due to lack of time, but we don’t have to throw our hands into the air and admit defeat; instead, we can consciously choose to apply our time wisely and avoid wasting it on activities that do not bring us joy or move us closer to our goals. The practice of constant improvement. Those who flourish do so not because they are “natural flourishers” but because they are constantly finding ways to improve, develop, and grow. They do not settle for the status quo; they find out what they need to know and what they need to do to and work hard to acquire the knowledge and skills necessary to get them where they want to go. The ability to communicate and listen to others. Soliciting feedback from others is vital to just about every human endeavor, and flourishing is no different. It’s tough to evaluate ourselves, so we should consider ourselves lucky for every single person who is willing to provide honest information on ourselves and our efforts. Those who flourish do so, in part, because they are willing to listen to others, learn from them, and take advice. The commitment to positive experiences. If we want to flourish, we must open ourselves up to experiencing all the good that life has to offer. We must commit to experiencing joy and delight, to finding meaning and purpose, and to offering ourselves what we need to remain healthy and happy. We cannot flourish if we do not take care of ourselves and consciously sustain our own ability to flourish (Davis, 2014). If you read through this list and found that you do not have any of these qualities, then you know exactly what you need to work on in order to enhance your life! To get even more tips on applying flourishing in your life, check out the two books described below. The book that set off an explosive chain reaction in positive psychological research, Seligman’s Flourish: A Visionary New Understanding of Happiness and Well-being laid the foundations for all the work that followed. Although happiness, well-being, life satisfaction, and positive emotions had all been studied prior to the 2011 release of this book, Seligman proposed a new conceptualization of these topics—a reimagining of what we mean when we talk about happiness. Although the book itself did not add greatly to the scientific literature, it sparked significant interest in the topic. Seligman’s aim was to help move positive psychology from what is termed “Positive Psychology 1.0” (i.e., “authentic happiness” as the focus of positive psychology) to “Positive Psychology 2.0” (i.e., well-being/flourishing as the focus of positive psychology). Seligman also lists the twenty-four strengths and virtues that contribute to overall well-being and flourishing, strengths like kindness, humor, and courage. The rest of this book delves deeper into character, dealing with negative emotions, optimism, positive education, and the measurement of well-being, and offers useful exercises you can apply in your own life to enhance and increase your opportunities to flourish. If you’re interested in reading this book, you can find it for sale here. You can read more about his new book The Hope Circuit here. Although Seligman and his 2011 book increased the interest in flourishing, it was not the first exploration of the topic. Researchers Keyes and Haidt published an edited book on flourishing in 2002, which incorporated findings from the leading psychologists on happiness, well-being, and living the best life possible. It was written just as positive psychology was emerging as a field in its own right. The book documents the forces that drove the field, emphasizing the influence of decades of focusing on mental illness on the development of positive psychology. These explorations of positive, life-giving constructs provided an early guidebook for work in positive psychology, laying the foundations for hundreds of articles and books published in the years that followed. The Flourishing Center is an organization devoted to spreading positive change and enhancing human flourishing around the world. Comprehensive training on the factors that enable people to thrive. Ready-to-use tools to apply the science of flourishing. Strategies to help people create sustainable work for themselves. Positive Psychology Practitioner Programs for psychologists, therapists, counselors, social workers, life coaches, consultants, and any other practitioners of positive psychology. Advanced Certificate in Positive Psychology (CAPP) Programs for positive psychology practitioners who want to really dive into the application of positive psychological principles. General Public Programs for teachers, coaches, mentors, and parents to boost their own flourishing and pass the knowledge and skills on to the children in their lives. Aside from the training programs, the center also offers a free introduction to positive psychology course, a webinar introducing viewers to the CAPP program, a sneak peek at the CAPP Program syllabus, a quiz to learn about what kind of “change agent” you are, and much more. 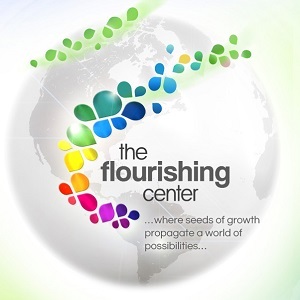 If you’re interested in learning more about The Flourishing Center, you can find their website here. A good quote can be extremely effective in boosting our motivation and enhancing our mood. Bookmark this page and come back to these quotes anytime you need a little extra encouragement! I hope this piece has given you a useful overview of flourishing and a good idea of what you can do to enhance your own flourishing and that of your loved ones. It’s a big topic in positive psychology right now and it looks like it will continue to be popular with researchers, academics, and laymen alike. Keep an eye out for new research on flourishing, and remember to tend to your “five pillars” to achieve and maintain a happy, healthy, and fulfilling life. What do you think about the factors that contribute to flourishing? Did we miss any that you feel are important? How do you “flourish”? Let us know in the comments! Thanks for reading, and happy flourishing! Keyes, C. L. M. (2016). Why flourishing? In D. W. Harward (Ed.) Well-being and higher education: A strategy for change and the realization of education’s greater purposes (pp. 99-107). Keyes, C. L. M., & Haidt, J. (2002). 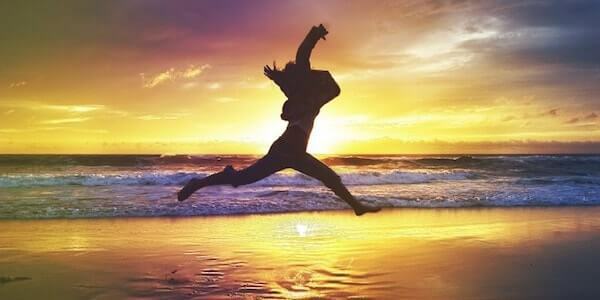 Flourishing: Positive psychology and the life well-lived. Washington, DC, US: American Psychological Association. Seligman, M. E. P. (2011). Flourish: A Visionary New Understanding of Happiness and Well-being. New York City, NY: Atria Books. This is quite an informative article, thanks. While going through varied literature, I was eager to understand the relationship between flourishing & well-being. While on one hand we say that flourishing encompasses well being, life satisfaction etc, on the other side research shows that well being [eudaimonic & hedonic] impacts flourishing. will appreciate, if you have& can provide insights into this.. Thank you for the comprehensive summary. I would love to take pieces of this and post them as a series of blog posts for readers of my website and social media – I think this would make the information more accessible for non-practitioners. Would authoring that be of interest to you, or would you be open to discussing how I could do this in a way that honors you as a principal source? This article is amazing!! Thank you for sharing it. I will pay it forward. I also feel that religious faith/ belief in Go is also a contributing factor I flourishing.